Paris (AFP) - The French government, under pressure from weeks of "yellow vest" protests over rising living costs, on Wednesday scrapped all planned fuel tax hikes for 2019 and appealed for calm. The presidency, meanwhile, warned of possible violence during a new round of protests planned for Saturday in Paris and elsewhere in the country. "We have reasons to fear major violence," a source in the Elysee Palace told AFP amid calls for fresh mobilisation of the "yellow vests" movement already linked to four deaths and hundreds of injuries in often violent demonstrations. 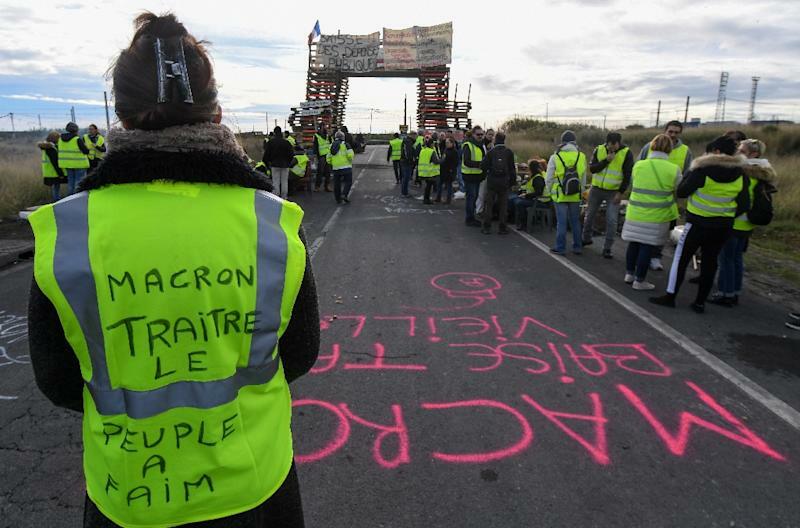 The protests began on November 17 to oppose rising fuel taxes, but have ballooned into a broad challenge to French President Emmanuel Macron's perceived pro-business agenda and complaints that he is out of touch with the struggles of ordinary people. Last Saturday, rioters ran amok in the capital, torching some 200 cars, smashing shop windows, and vandalising the Arc de Triomphe, an iconic national monument. Macron and his government appealed for calm Wednesday, and signalled they were ready to make further concessions to avoid more violence. Protests continued Wednesday, with petrol depots, service stations, and shopping centres among the targets of the "yellow vests" or "gilets jaunes" -- so named for the high-visibility road safety jackets they wear. Macron, whose approval ratings are down to just 23 percent, is yet to comment publicly since returning to France from a G20 summit in Argentina on Sunday morning. 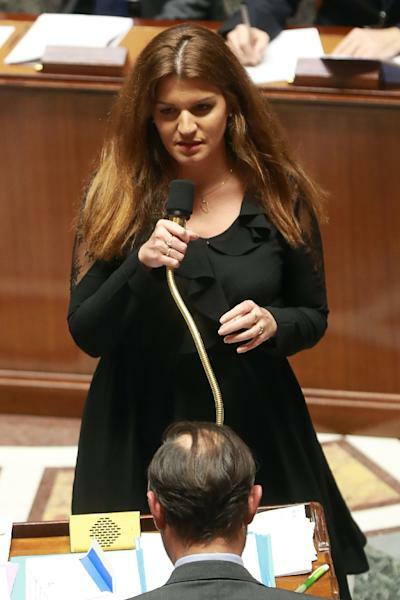 But his office said he told ministers he would stick to his decision to cut a "fortune tax" on high-earners -- a move which has infuriated many protesters. The "yellow vests" are largely made up of modest earners from rural and small-town France. Experts say the government may have reacted too late to the street protests -- a regular feature of French political life which have repeatedly forced previous presidents into U-turns. 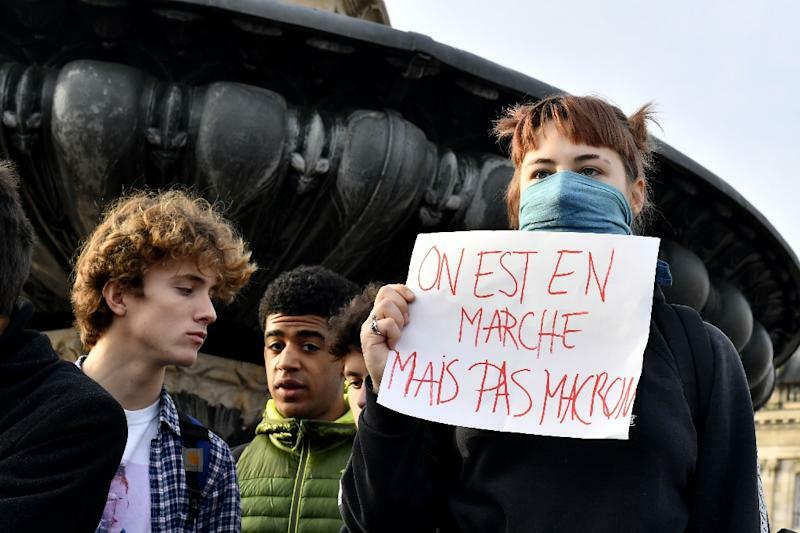 In the wake of calls for a large mobilisation on Saturday, Interior Minister Christophe Castaner urged "responsible" protesters not to descend on Paris.